A couple of very good friends are members at Redstick - Clarke B and Chris L. The Club is pretty exclusive and male-dominated, situated in Florida’s east coast near Vero beach. Here am I with my buddies Clarke B and Chip O. Pretty swanky golf pants! 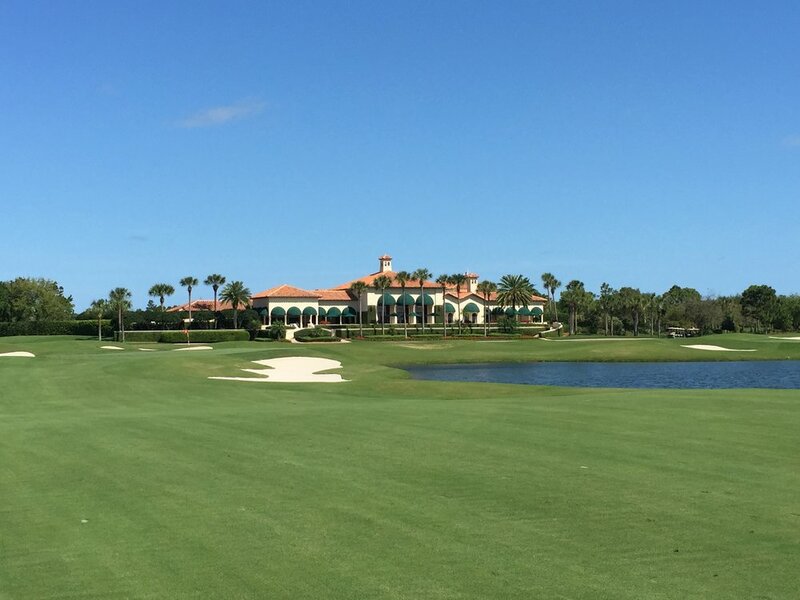 This is from the Club’s website: RedStick Golf Club began during the winter of 1997 when several Vero Beach golf enthusiasts came up with the idea for an invitational golf club, rolled up their sleeves and created a member’s club. It was not, nor was ever, intended to be a “for profit” venture by its founders. RedStick Golf Club opened on November 3, 2000. The Club was established as a traditional, private golf club for the enjoyment of the members and their guests. The name RedStick is derived from a band of Creek warriors who were known to be fierce fighters during the Florida-Indian wars of the 19th century; their main opponent being Andrew Jackson.